This title is directed primarily towards health care professionals outside of the United States. 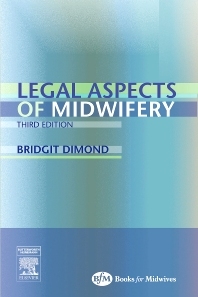 The aim of this book is to provide information that a midwife can use with confidence, knowing that the law is there to protect her and her clients. All information and case law has been thoroughly revised and updated and takes into account sensitive areas that midwives may face in practice including female genital mutilation, domestic violence, infertility treatment and issues surrounding the treatment of human tissue.